Is car pollution check required on regular basis? With no signs of improvement in air quality, we should all come forward to take some actions. As an individual, we contribute a lot in pollution crisis every day. Vehicular pollution is one of the reasons of increasing pollution today. At Pitcrew Car Service, we have seen that customers who do not focus on regular maintenance of vehicles end up footing big car service and repair bills. 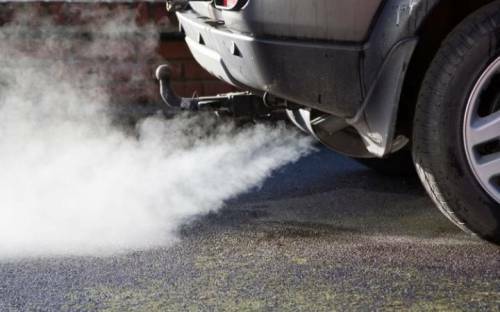 Due to heavy air pollution and irregularity of car pollution checks, a lot of vehicles end up having Turbo related problems. This results in excessive pollution and reduced vehicle pick-up. Many a times we have seen that problems related to car emission – Turbo results in repair bills in excess of Rs 15K. Pitcrew Mobile App (www.pitcrew.co.in/app) provides great features to customers by helping them remember important deadlines around PUC expiry. One can easily keep a record of their pollution certificates digitally and receive notifications before the eventual expiry of the PUC certificate. There are many car repair workshops in Delhi NCR to keep your vehicle in best condition. Pitcrew car service network is trusted by its customers for convenience and service quality. We provide car pollution checks from authorized PUC outlets apart from services like car services, repairs, denting & painting, dry cleaning, wheel alignment & balancing, car rubbing & polish, roadside assistance etc. Customer satisfaction is what we strive for and are working to build high customer trust.